Hermetically sealed and maintenance-free - Super Heavy Duty. 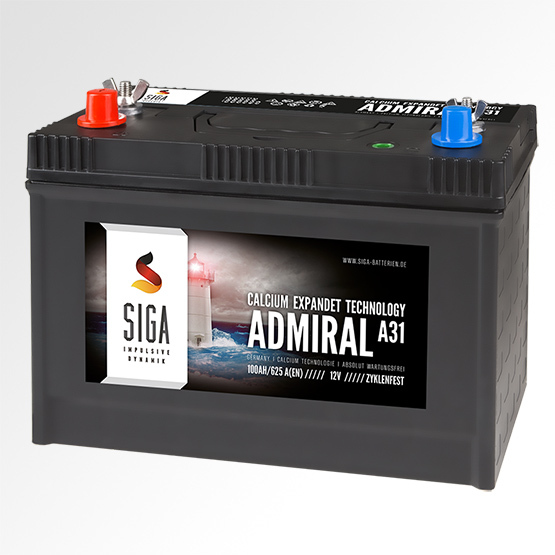 The deep cycle SIGA Admiral marine batteries with the new calcium/silver technology are very reliable as a supply batteries in many different areas, because of their sophisticated cell construction. Due to the increased lead plates they offer a low self-discharge cycles and a constant and durable operation. Even after long periods of non-use these batteries provide a minimum capacity drop. The best choice for an electric motor or boat drive, or for Mover maneuvering systems.